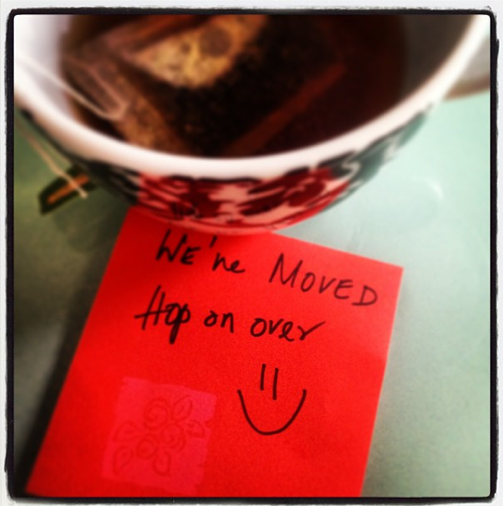 Yes, we have officially moved and I will be posting on the other site kowthas.net. Usually am a considerate woman and if I could save youa click, you know I would and I have done that before when I oved from blogger to wordpress. But apparently wordpress has gotten greedy and wants to charge us a few bucks to allow re-direction. Now I’d write my home away to charity and the well being of the world and the wretched in general, but I am a grinch and a stingy one at that to pay for something that should be given free. With that said, I hope you wouldn’t mind clicking on that link above or below and bring yourself to my current home. We are tunneling at kowthas.net now! Previous article..and we are live! 3 days ago by rads02 Jumping around a screw pine in a jump suit. . . . Always thought I was t made for a jump suit or a dungaree sorts coz my baby tummy or the apron and the mid section but you know what, screw body images and expectations that we set for ourselves by media by people who can afford it and by people who expect women to behave and dress a certain age. Classy is a behavior. As long as you can remain that even in a torn jeans with mismatched socks and greasy hair, who really cares? . . .
2 weeks ago by rads02 What’s the point of wearing a breezy aqua blue linen sari and going into an incredibly windy springy day at DC if you don’t indulge in a Bollywood moment? . . . Tbh, that shot was a hard one. The wind kept blowing me away and the hair flew in the wrong direction and the sari kept getting stuck in weird places that definitely made me more curvy and skinny where I wasn’t supposed to. And suddenly, I have a new appreciation for models and actors. . . . Lotsa fun though so well worth it all. :) . .